These following items are optional. 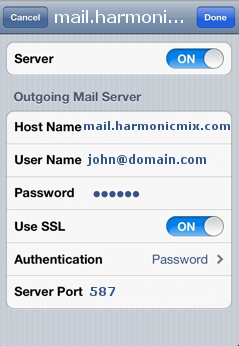 These are setup automatically by the iPhone and enables a secure link to the Harmonic Mix email system. These are here for reference and support are typically are not needed for setup. 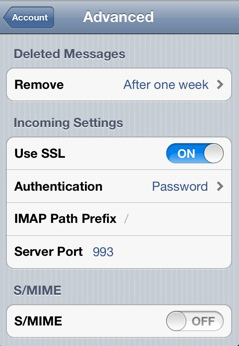 This can all be found in Settings under the Advanced section for email setups. 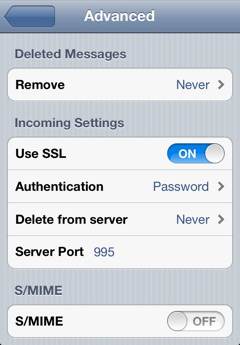 Under Advanced, you can verify that the settings for sending email are set as follows.